Serving the Greater Waterbury area since 2005, our mission is to provide you with the best selection of beer, wine, and liquor at the lowest possible prices, while maintaining the highest-quality customer experience. Beer making has a long history. As far back as 2000 B.C., the Code of Hammurabi set standards for beer production and behavioral codes pertaining to drunkenness. Beer is made from grain, malt, hops, yeast, and water. Historically, beer was full-bodied and quite nutritious. The beer of today is highly filtered and of negligible nutritious value, although calorie-laden. The alcohol content of beer in the United States is generally between three and six percent. Grain drinks with a higher level of alcohol are called malts, lager, or ale. Wine also has a long history. Historically, many monasteries have been known for their wine production. A number of fruits can be used to make wine, including grapes, berries, or peaches. The fruits are crushed, and yeast may be added. In general, the darker the color of wine, the longer the aging process. American wine is approximately 9 to 14 percent alcohol. Fortified wines are those with an alcohol content higher than 14 percent. Such wines contain added alcohol or brandy to increase the alcohol content to approximately 20 percent. The remaining major category of alcoholic drink is distilled spirits, often called "hard liquor." The natural fermentation process stops when the alcohol content reaches 14 percent. However, the discovery of the distillation process by the Arabs lead to the use of this type of beverage with its higher alcoholic content. Distillation involves heating the substance of choice and capturing the steam that is released. When cooled, the steam contains less water and more alcohol. 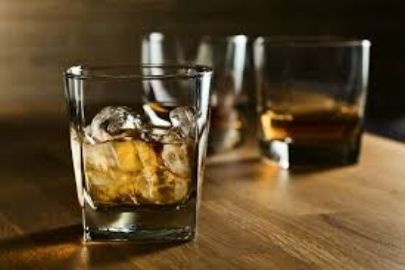 A number of different products are used for distilled spirits including corn (bourbon), potatoes (vodka), sugar cane (rum), wine (brandy), and malts/grains (scotch). The Perfect Party Planning link provides you with guides to plan the perfect party, examples of different types of parties, ideas for party accessories and much more. Anticipate needing 6 ounces of mixer for each cocktail and one 2-liter bottle of soda for every 5 people. Don't forget garnishes such as cocktail olives and onions, lemon and lime slices, coarse salt and maraschino cherries. Mixers should be equal portions of ginger ale, water, and fruit juices (orange, cranberry and grapefruit). Food pairing is the process of pairing food dishes with wine or beer to enhance the dining experience. In many cultures, wine and beer have had a long history of being a staple at the dinner table and in some ways both the winemaking and beermaking with culinary traditions of a region have evolved together over the years.